Rhyl’s First Station Master, Mr Thomas Winston. A previous post described the removal of the horse trough, presented to Rhyl by Thomas Winston and which stood for so long in Queen Street. It seems that Mr Winston was a remarkable man who deserves greater recognition in the history of Rhyl. His obituary (Rhyl Record and Advertiser, July 6th 1889) goes some way to explaining why so little is known about him. Contrast this with our era of celebrity and self promotion. He was born in Surrey in 1815, his paternal ancestors being Welsh. He arrived in Rhyl on May 1st, 1848 as the town’s first station master. 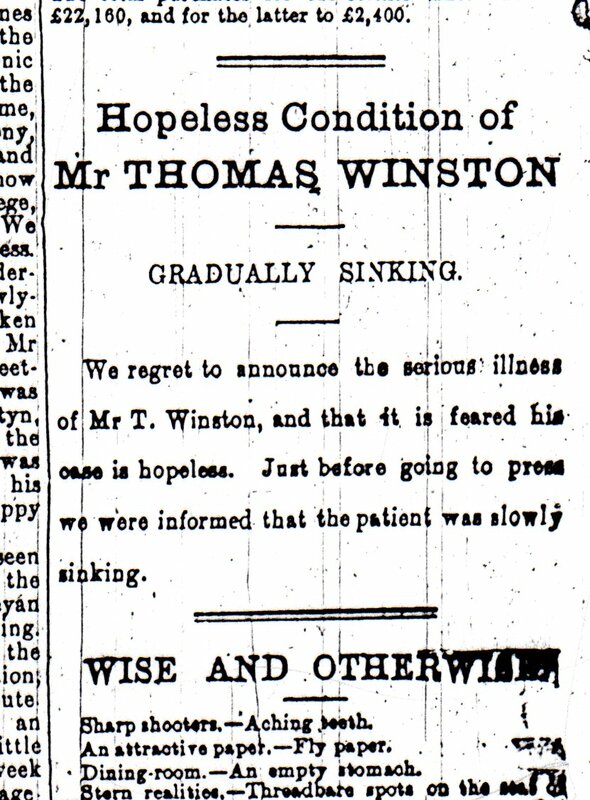 The cutting below is from the Rhyl Record and Advertiser, June 29th 1889 which was also the day he died. 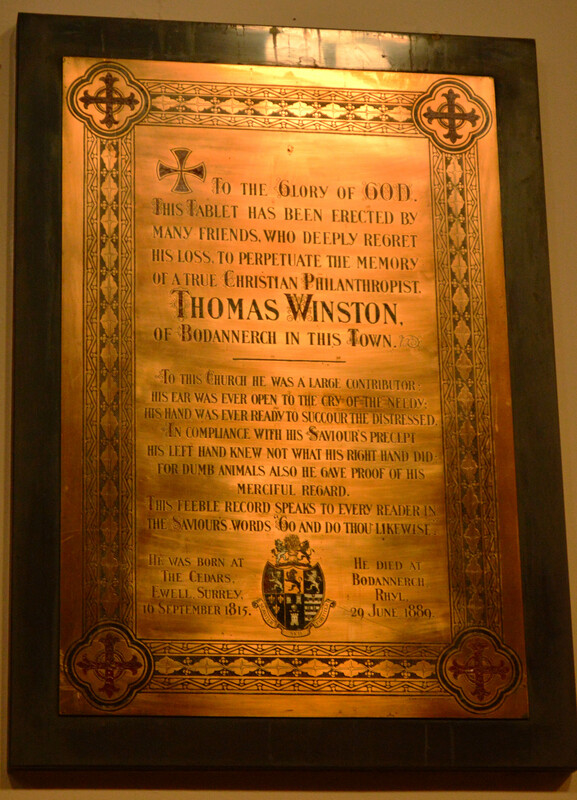 The paper of July 13th describes a meeting which took place to consider the best memorial to Mr Winston and the photographs show the Window and Monumental Brass , which was decided upon, in St. Thomas’s Church. Great again. He seemed a very decent chap, and very interesting. Rhyl could do with a few more like him.